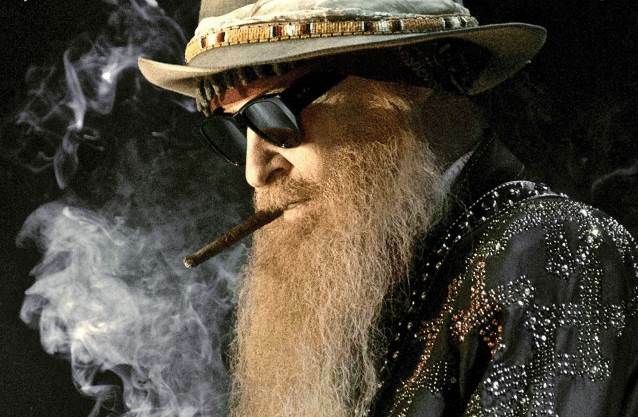 Concord Records will release "The Big Bad Blues", ZZ TOP legend Billy F Gibbons's second-ever solo effort, on September 21. This is the follow-up to his acclaimed 2015 Afro-Cuban-flavored solo album "Perfectamundo". "The Big Bad Blues", as the title suggests, focuses on Gibbons's lifelong love of the blues and rock and roll, showcasing the blues-influenced vocals and guitar licks that have together served as the foundation for his numerous hits over the past five decades. 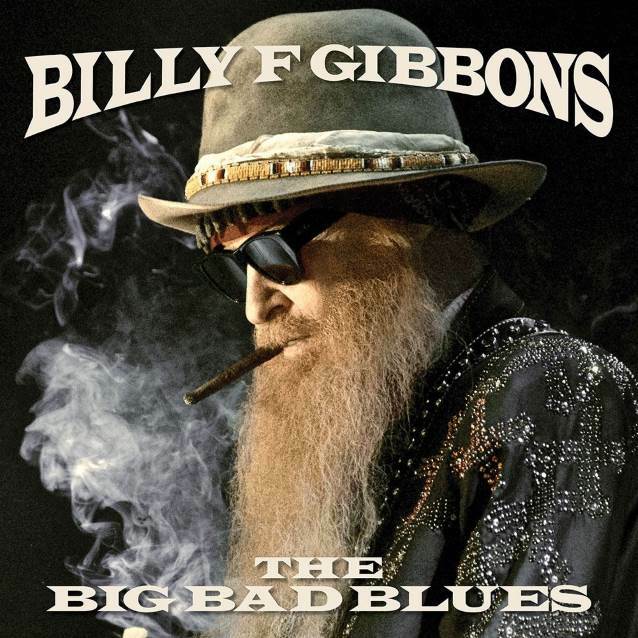 The album features 11 tracks balancing some classic covers like "Rollin' And Tumblin'" and "Standing Around Crying", along with some of Billy's signature new blues originals. "We successfully made our way through those uncharted waters with the Cubano flavor of 'Perfectamundo' and completed the journey," says Gibbons in distinguishing "The Big Bad Blues" from its predecessor. "The shift back to the blues is a natural. It's something which our followers can enjoy with the satisfaction of experiencing the roots tradition and, at the same time, feeling the richness of stretching the art form." Gibbons, of course, has long been one of the most important and influential artists to emerge from the blues traditions, carrying it forward in a career honored by his 2004 induction, with ZZ TOP, into the Rock And Roll Hall Of Fame. As he notes, he was blues-influenced "right from the beginning — and it's never let up." "There's something very primordial within the art form," he says. "Nobody gets away from the infectious allure of those straight-ahead licks!" He notes it would take many hours just to scratch the surface surrounding this enduring love affair: "I suspect Jimmy Reed did me in early on. The inventiveness of that high and lonesome sound remains solid and stridently strong to this day. We could go on to mention the lineup of usual suspects, Howlin' Wolf, Muddy, all three Kings [B.B., Albert and Freddie]. The lengthy list of champions are forever carved in stone." After the success of "Perfectamundo", Concord Records president John Burk expressed his intent on following up with another artistic offering with a more familiar, bluesy kind of content. "Billy has an incredibly deep knowledge of the great blues tradition and has carried that tradition forward in his music throughout his incredible career. Therefore, it seemed natural to do a project that centered on his musical roots, and the music that so inspired him from the very beginning." Gibbons remarked, "We were delighted to follow suit: It's steeped in the tradition of 'BFG meets blues giants' with an adventurous expression to keep it fresh." BFG and Burk met in an underground parking garage of a favorite Hollywood bistro from the comforts of JB's top-down ride, playing some tracks, LOUD, with the music bouncing off the walls beneath a couple floors of raw concrete. "… Gibbons got the nod. He and his "greasy" gang of unbridled players were delivering the goods. "From deep in the heart of Texas, our Hammond organ specialist, Mr. Mike Flanigin, stepped forward and accepted the invitation to step from the B3 bench to take on the task of pounding the ivory 88s," says Gibbons, adding, "Great piano stuff from Mike 'The Drifter' Flanigin. "Master of the Fender Bass-guitar, Joe Hardy lent his low-down sound with his fearless funkiness, SO fine! "Matt Sorum steps forward with his super-syncopation, thrashing the skins like no buddies business. "Alabama–come-California soulster Austin Hanks, roughs up the riffs with his left-handed six-string electric. Have mercy!" Gibbons himself shares the harmonica chops with James Harman who has appeared over the years doin' that Mississippi-sounding thing. "James is the fastidiously fierce follower of the real deal when it comes to blowing' the harp. "As for the album content, check it out… Hey now! "Something old, something new, something borrowed, something blue," he says. "It's no secret there are several favorites from the way-back starting with not one, but two, from the Bo Diddley catalog ['Bring It To Jerome' and 'Crackin' Up']. We dusted off an old Gretsch Duo-Jet guitar which put it squarely with that infamous Bo Diddley sound. Once covered, we made way into another side — a much earlier number from Muddy Waters, 'Standing Around Crying'. The ragged edges with the meanness of James's bad self on harp seemed to fit the bill to enter the lineup." As for favorites, Gibbons notes, "'Missin' Yo' Kissin' is a gift from Miz Gibbons. She knows what girls want and laid it out cold. And 'Second Line' is a definite throwback to many good days and nights down New Orleans way. "Other tracks on 'The Big Bad Blues' are easy pickin', sayin' it all. It's a street affair."